Is there a better alternative to Paste-it? Is Paste-it really the best app in System category? Will Paste-it work good on macOS 10.13.4? Paste-it is a multiple clipboard utility that significantly extends your Mac's copy and paste functionality. For every item that you copy, Paste-it creates a so-called Paste-it, a persistent representation of the copied item. Paste-it manages a complete history of Paste-its and presents them to you in an easy-to-navigate list. You can conveniently reuse any of the Paste-its via global keyboard shortcuts, drag and drop or via a list that is integrated into the upper right menu bar (3rd screenshot). This is especially handy in situations where you have to copy and paste several items repeatedly and in an interleaved fashion. Additionally, as Paste-its are persistent, they can be conveniently reused even after a system restart. 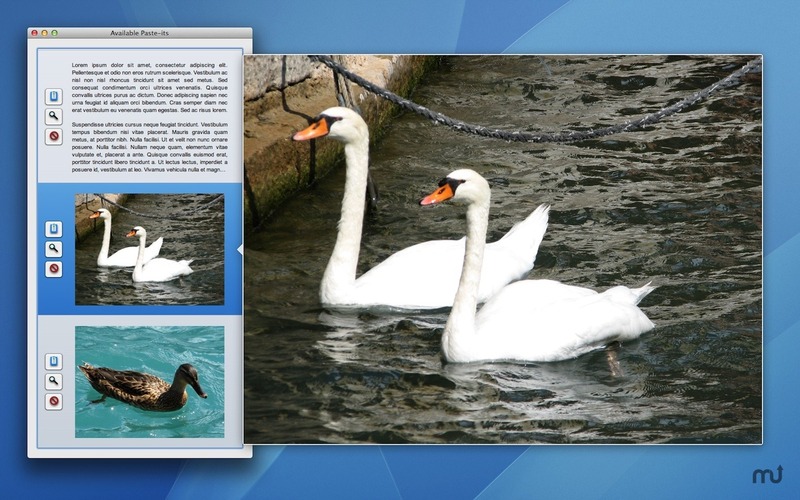 Currently Paste-it supports the creation of Paste-its from text and images.